At first glance, Bangkok might not seem like the most suitable place for children. Known for its red light districts and incredible nightlife, you might be wondering what there is to do for those who are underage and unable to enjoy all of the guilty pleasures that Bangkok has to offer. The City of Angels is so much more than the sinful city it seemingly portrays. 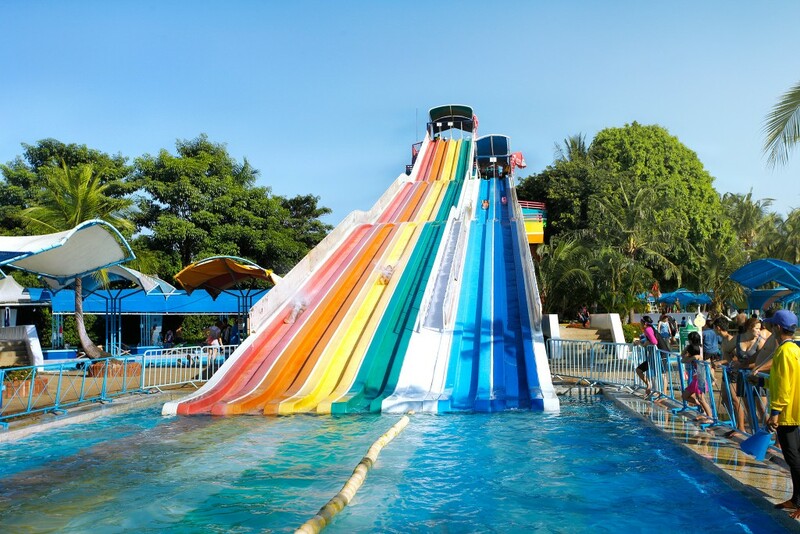 If you are traveling with children, here are the top ten things to do with kids in Bangkok. Explore the ocean from the comfort of Siam Paragon, one of the most luxurious malls in Bangkok. It is here where you will find Siam Ocean World, an underwater oasis filled with exotic marine creatures. Once inside, you will travel through an all glass tunnel that showcases a wide array of sea life swimming in every direction. Online tickets must be purchased at least 24 hours in advance and they start at ฿790 for children aged 3-11 years old (children under the age of three get in for free). Siam Ocean World can be found inside Siam Paragon. To get here, you can either take a taxi (every driver will know Siam) or you can take the BTS Skytrain to the Siam station. BOUNCEinc Thailand is unlike any attraction in Bangkok; with floor to ceiling trampolines, kids can bounce from one area to the next with ease. 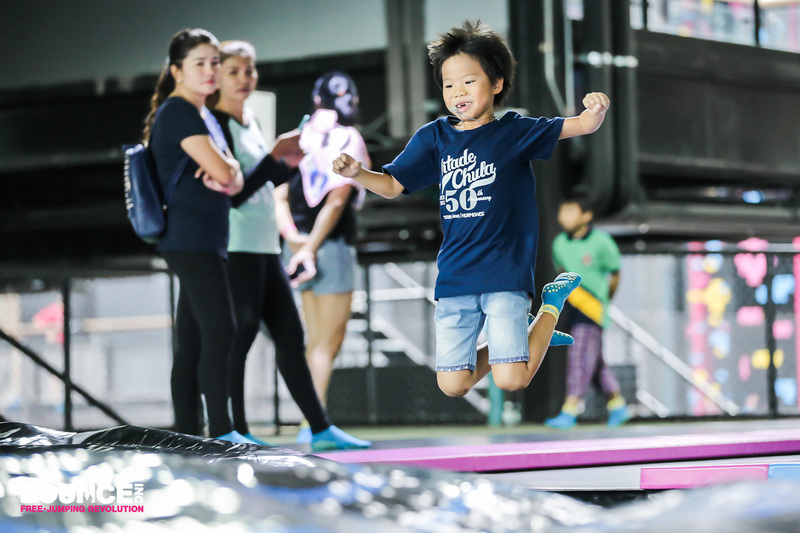 There are over 80 trampolines in BOUNCEinc Thailand’s facility, which just opened last December. Prices range anywhere from ‎฿350 (about $10) for students and juniors to ‎฿1,400 (about $40) for a family of four. Dream World is the perfect amusement park for children of all ages. There are three packages available for purchase at Dream World that start at ฿1,200 and include access to Dream World’s rides, an unlimited buffet and entrance into Snow Town. Snow Town is made up of snowy slides and other winter activities, making it a great escape from Bangkok’s unbearable heat. Don’t have time to make it to one of Thailand’s famous beaches? No problem. 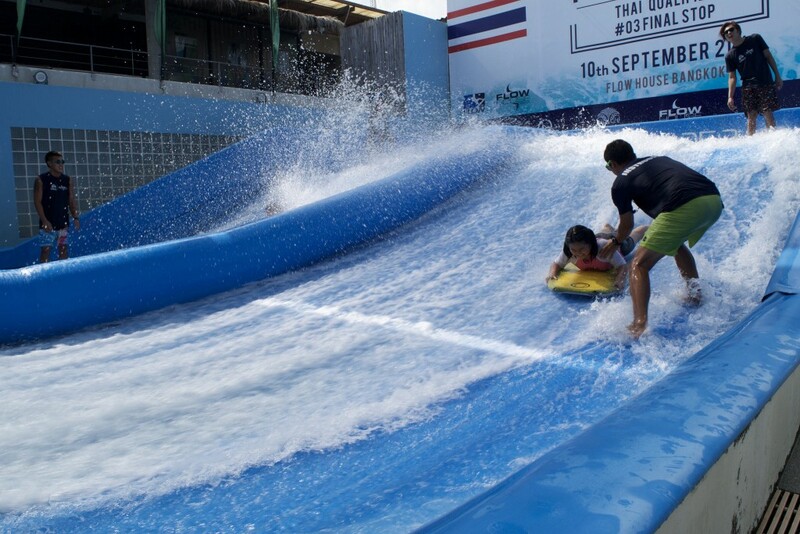 At Flow House Bangkok all you need is a swimsuit to enjoy surfing Bangkok’s biggest waves. With professional trainers on staff ready to teach, your child will be wake boarding or surfing in no time. Feel free to grab one of the delicious meals Flow House Bangkok offers and relax as your child enjoys the giant wave simulator. For walk-ins, admission to ride is ฿750 (about $21) per hour. Flow House Bangkok also offers discounted prices for those who purchase FlowCards. To get to Flow House Bangkok, take the BTS Skytrain to Phrom Prong; from there, it is about a 20-minute walk. Forget the cinema — let your child experience all that films like Jurassic Park have to offer at Dinosaur Planet Bangkok. It is here where you will travel back to prehistoric times when dinosaurs used to roam the planet. There are many attractions to choose from, such as riding Dinosaur Planet’s giant Ferris wheel, uncovering fossils and much more. Children’s tickets start at ฿340 and adult tickets are ฿510. To get to Dinosaur Planet, take the BTS Skytrain to Phrom Prong. There are plenty of parks to explore throughout Bangkok. These green spaces are refreshing getaways from the city’s urban decor, and most of them feature makeshift exercise machines and playgrounds. 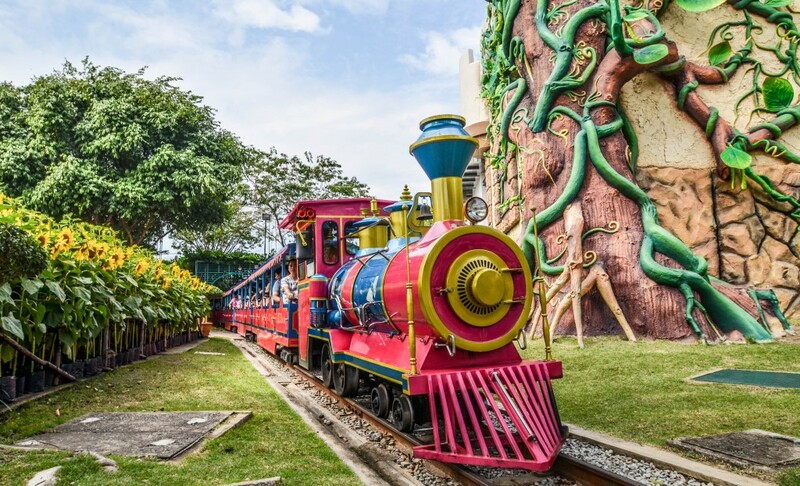 One of the best parks for children is Benjasiri Park, located just off the BTS Skytrain stop Phrom Phong. 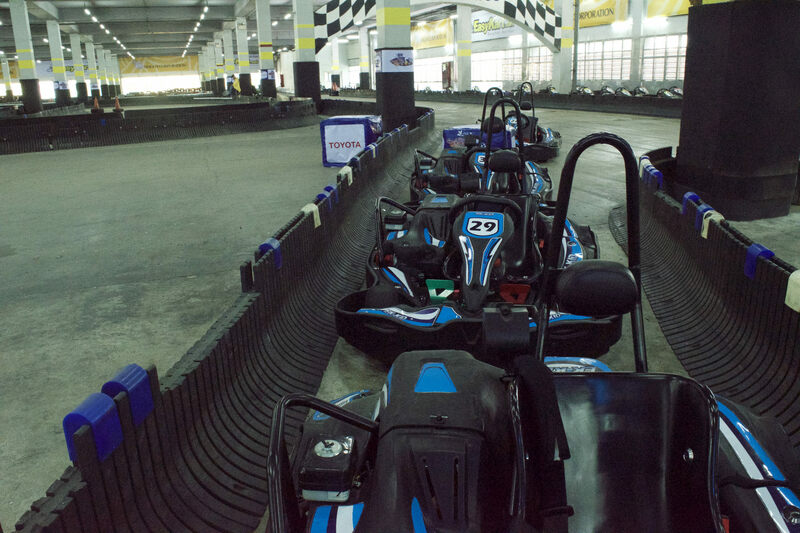 Speed demons will love Easykart Bangkok, one of the only racetracks in the city, and this attraction has cars specially designed for children. Its intricate course weaves in and out of its indoor facility with excitement at every curve. There is a lounging area with a pool table, foosball table, restaurant and more that you can enjoy while your child speeds (safely) around the course. Children race for ฿500-600 (about $17); however, the price depends on their size. Riders who are 15 years old and older, or those who are at least 150 centimeters tall, can purchase two races for ฿1,300 (about $37). To get here, take the BTS Skytrain to the Thonglor station; it is about a 40-minute walk from the station, so grabbing a taxi is suggested. Let your kids loose and have the freedom and ability to get creative at The Commons. This outdoor mall has an entire level dedicated to play, known as the Play Yard. It is on this level you will find Little Pea, a restaurant that doubles as a playroom. 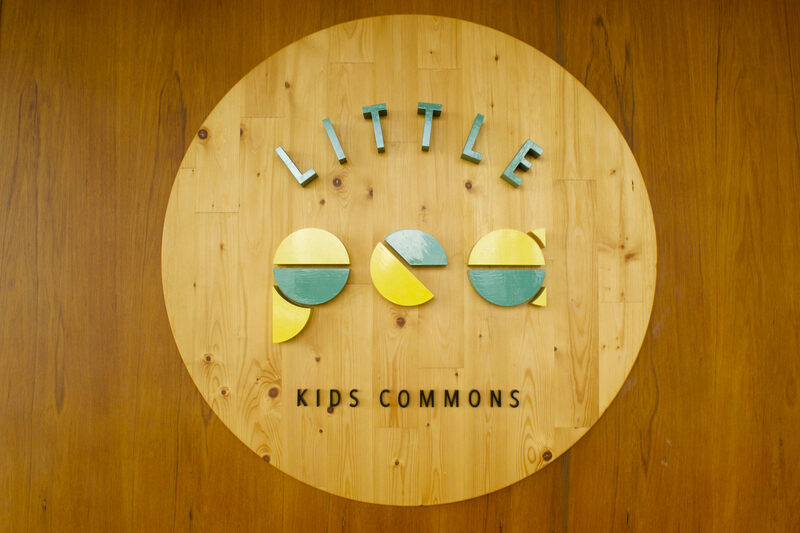 With fun activities, children’s books, art classes and more, Little Pea is so much more than a place to grab a bite to eat. To get here, take the BTS Skytrain to the Thonglor station; it is about a 20-minute walk from the there or a short taxi ride. If you are looking for a family-fun activity that is a little less action packed than the activities listed above, then be sure to head to the Children’s Discovery Museum. The museum just underwent renovations in 2014 and will have your family entertained for the entire day. The museum is filled with interactive exhibits, educational displays that encourage play and even a science gallery. To get to the Children’s Discovery Museum, take the BTS Skytrain to Mochit.